With Corsair's rich 30-year history as a world leader in high-quality multihull manufacturing, Corsair Marine International has more than 2,000 trimarans sailing in all parts of the world. The Corsair Trimaran range offers the perfect boat for demanding sailors in search of adventure. Corsair trimarans and Seawind catamarans are received and commissioned in Mobile Alabama, and Pensacola, Florida, Long Beach, Oceanside, and Oakland, California. They can be professionally transported, or picked up by each customer for the final sailing destination. 180 Marine is networked, so we're a great source to locate the perfect used trimaran or catamaran when a new one just won’t work. We offer innovative and quality products that enhance your sailing experience on any multihull. For instance, many owners like the new Torqeedo Electric Motors…on their multihull. Corsair 37 - The Performance Trimaran. This trimaran offers all the comforts of a cruising monohull and the flat sailing of a big catamaran. It also has the speed, safety and unsinkability of a Corsair Trimaran. Sailing out to Catalina Island would take no time at all! The Cruze 970 is an evolution of the C31 popular design but with greater comfort and amenities similar to that found on the larger C37. For sailing performance, the high volume floats have been designed with additional buoyancy giving the Cruze 970 greater stability and comfort for all her passengers. This 24-foot trailerable trimaran brings trailer sailing to the next level. Originating from the ever popular 24 and 750 range, this new model has received a radical redesign by our partners at Perus Yacht Design. Superior safety is inherent in the design and construction of all Corsair Trimarans. 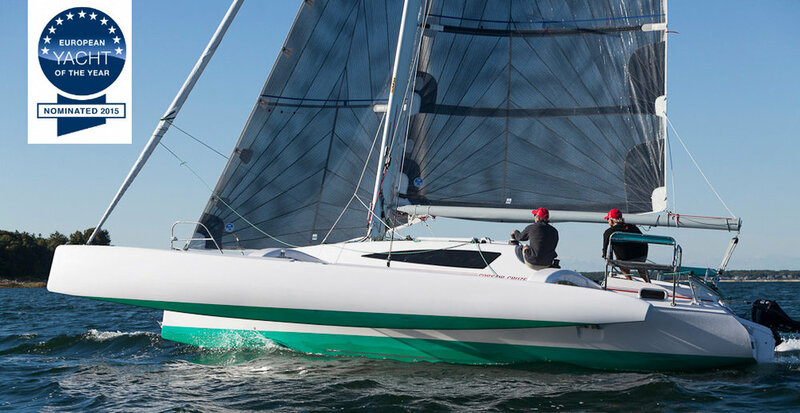 This 20' lightweight trimaran is so lively and responsive, yet forgiving. It’s quick in a breeze and remains fast with four people on board, and perfect fun with two. We're good at it... because we focus on our passion - multihulls. We work hard to find the right fit for your needs, or customize what's available until it's PERFECT for you. 180 Marine an authorized dealer for Seawind catamarans and Corsair trimarans. We are the fastest growing Corsair trimaran and Seawind catamaran dealer in the United States, owned and operated by Richard Allen and Leslie Gabriel, long time Corsair trimaran owners, racers, day sailors and cruisers. Few know more than Richard Allen about Corsair trimarans. Richard is U.S. Fleet Captain and Dealer for the Pulse 600, covering the Western United States. Most Corsair trimarans and Seawind catamarans are received and commissioned in Pensacola, Florida, Long Beach, California, Oceanside, California and Oakland, California, then professionally transported, or picked up by each customer for the final sailing destination. 180 Marine is networked, and can help with finding a used Corsair trimaran when a new Corsair trimaran just won’t work. We offer innovative and quality products that enhance your sailing experience on any Corsair trimaran. For instance, many owners like the new Torqeedo…on their Corsair. Our team of multihull sailors, with thousands of off-shore sea miles, are ready to bring you their most valuable experience. We race competitively every chance we get. The San Diego and Chicago NOODS, San Francisco Bay Corsair Nationals, and Pensacola Corsair Nationals are only a few examples. We handle all aspects of your boat purchase. Home base is Denver Colorado, where we can easily travel throughout the Western U.S.